As a fan of Cobra Labs The Curse, I was intrigued when I heard that they had released a new pre-workout supplement Shadow X. Having compared the ingredients in the shop between this and a few other pre-workout supplements that I am yet to try, it seemed that it would be a lot stronger than the competing products. And it is, for practically the same price I now only need one scoop prior to each workout, rather than 2/3. So, not only is it more effective in the gym, it also lasts longer so you get more for your money. I bought the 'magic berry' flavour and it tastes fine (if a bit intense- but that's pre-workout for you!). As I train at 6am (and I don't drink coffee) I feel that I need something to perk me up ready for heavy lifting sessions- and this certainly does the trick. It keeps you focused, gives you a pump, and gives you a lot more energy without too many unwanted side effects. 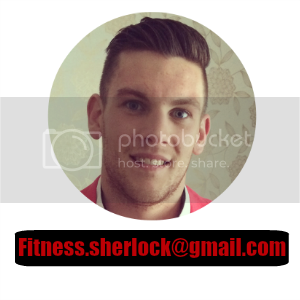 Having recommended Shadow X to a fellow gym user where I train, he also loves it and has since recommended it to a few others. This stuff really works and is my new favourite by far! 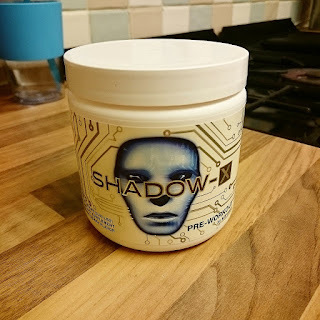 If you're interested in purchasing Shadow X, the best price I could find was here, although I would check your local supplement shop as I got it slightly cheaper from there!